So much for xmas break !! We made a decision to change the displays and refurbish the showroom. So new Years eve is being spent ripping the place apart. 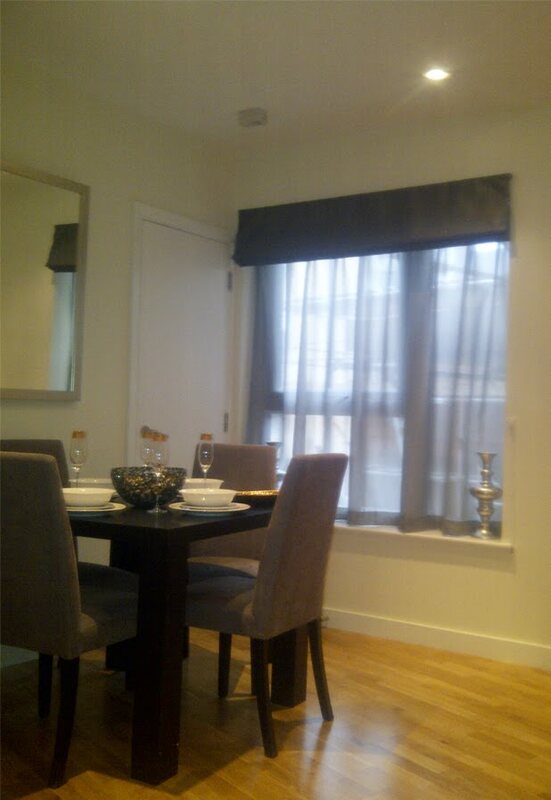 Further to last weeks blog, an installation of 10 Bali black roller blinds has totally transformed our Abbots Langley customers kitchen / dining space. We also continued in our quest to fit shutters into as many houses in Bushey and Oxhey village as possible with an other quality installation in Haydon Rd. On the commercial front we received another order for the Virgin Atlantic offices at Gatwick - this time for motorised venetian blinds. A long drive to survey a new build office site at Solihull in Birmingham resulted in a confirmed order for 36 venetian blinds to be installed next week. Hectic week . all shutter orders for pre-Xmas are now in, should be busy installing from the 17th to the 24th !! thanks to Jane for referring us to Maria, thanks to George for bigging us up to DC and thanks to DC for sending Claire over to the new showhome on Leavsden, she liked our work so much she has placed an order herself. 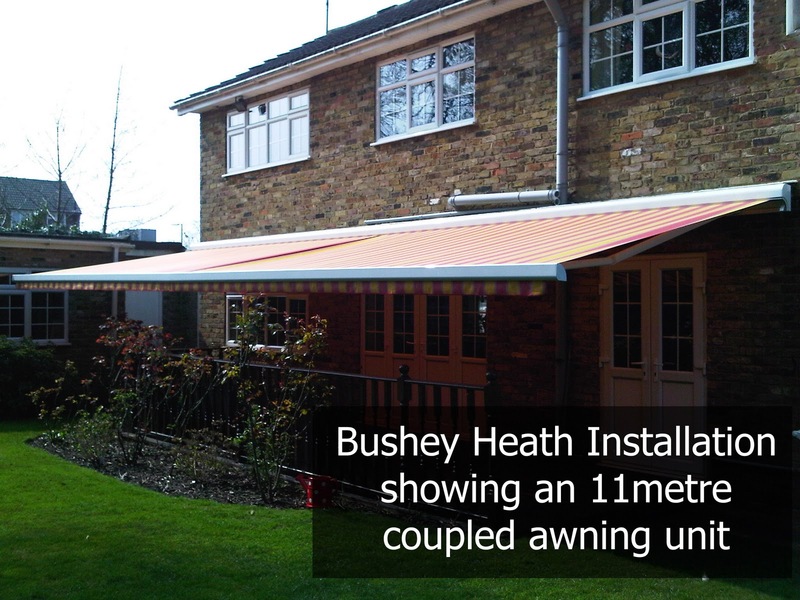 Bushey Blinds & Awnings was commissioned to install shading to the rear of a large property in Northwood. 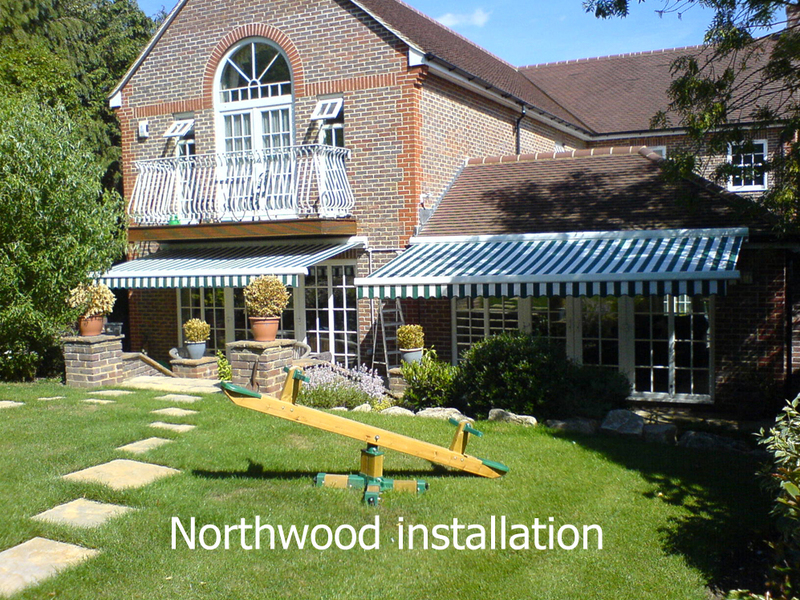 In order to bring both awnings to a level position we constructed steel support brackets to raise the awning up over the pitched roof. 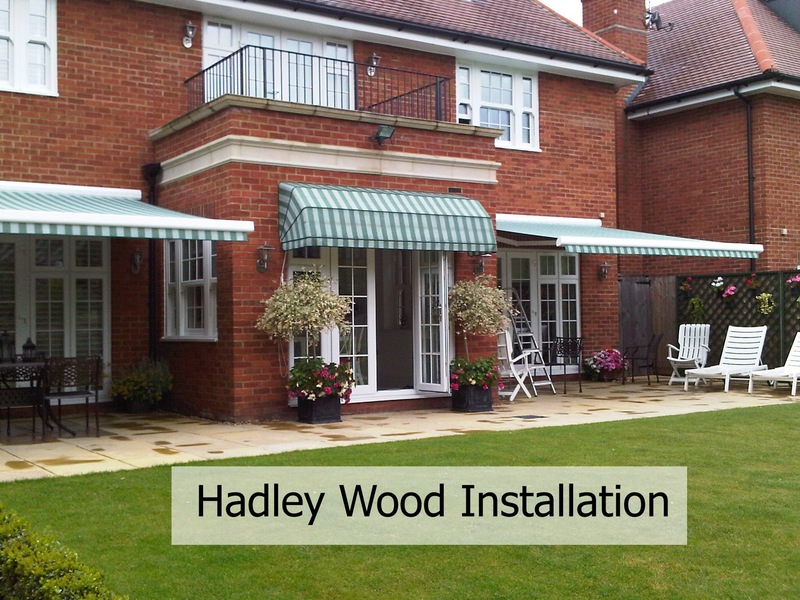 Standard green and white striped Bahamas awnings with radio remote controls. Bushey Blinds & Awnings was asked to provide a solution to shade the rear decking of an extensive Bushey Heath property. 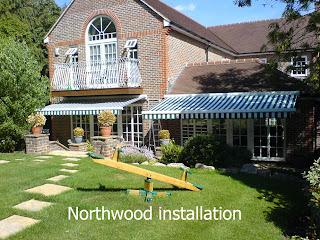 We installed an 11 metre wide coupled unit to allow the customer maximum shade whilst still giving full use of the decking. 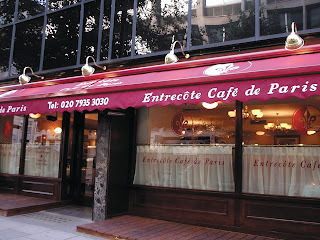 Clever use of structural brackets allowed to use incorporate the drainpipes. Single radio remote control and wind sensors fitted. 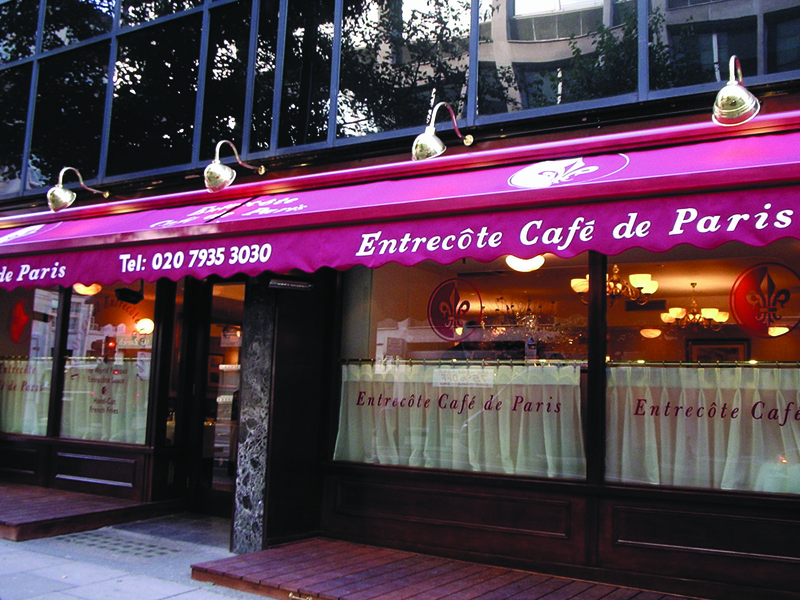 As well as bespoke domestic and residential awnings Bushey Blinds & Awnings provide many commercial awnings to shopfronts and restaurants.